These are two swaps made by Janet & Kelly for our coffee talk. 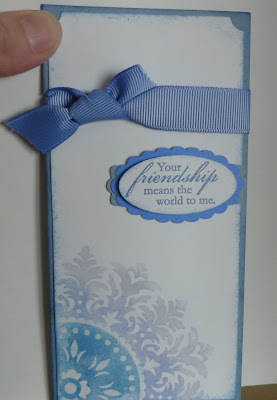 The challenge was to make a 3" x 6" card. I love how they turned out. 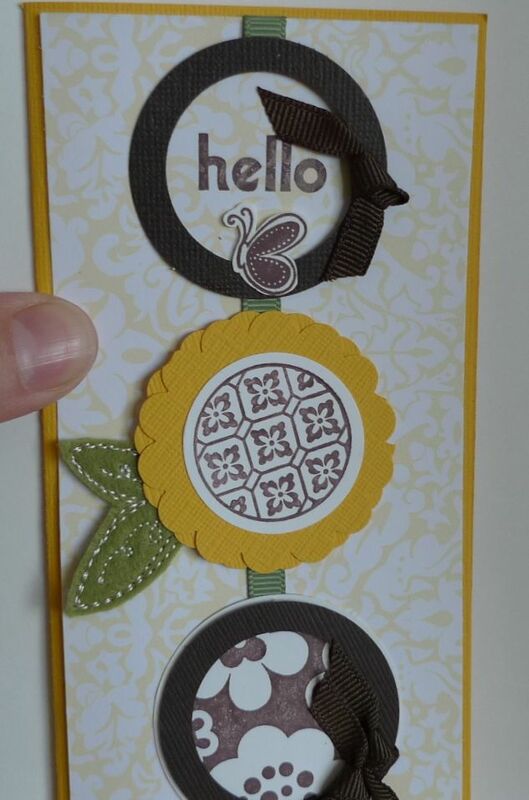 The top card uses the Circle Circus and Hello Again stamp sets. The bottom card uses the Medallion and Wings of Friendship stamp set.